The multitude of Sunoco Challenge-eligible series taking place across Britain last weekend resulted in a new name topping Whelen’s standings for the first time since April and several fresh faces emerging as potential 240 winners as the 2017 season edged towards its conclusion. Colin Noble Jnr had topped the Sunoco Whelen Challenge standings since late April, but that all changed at Snetterton last weekend when a low turnout contributed towards the Henderson Insurance Brokers LMP3 Cup ace – who sealed the inaugural crown along with Ecurie Ecosse co-driver Alasdair McCaig – losing his grip on January’s Rolex 24 At Daytona prize drive. A victory and third place finish would ordinarily have resulted in a solid points haul. Instead, the LMP3 Cup Pro’s overall average score dropped by 7.03 marks to 71.85, 4.54 fewer than new Whelen leader and British GT4 champion-elect Stuart Middleton who contested his season’s penultimate round seven days earlier. Such was Noble Jnr’s drop that Middleton’s HHC Motorsport co-driver Will Tregurtha also rose one place to second overall. He remains in contention, despite the 2.45-point deficit, by virtue of the additional points on offer individually for pole position and fastest race lap. The HHC crew’s only British GT4 title rivals are also Whelen contenders, although Lanan Racing’s Alex Reed and David Pittard – currently tied fourth on 67.83 points – will need a perfect final weekend at Donington Park if either are to overturn both their Drivers’ Championship and Challenge arrears. Stuart Moseley has also suffered from low grid numbers this season, but the Radical SR3 European Masters front-runner remains just 10.14 points behind Middleton with three events remaining in which to drastically improve his score. Matt Bell, like LMP3 Cup championship rival Noble Jnr, dropped seven points and a position due to the lack of competition last weekend, while the rest of the top-10 remains as it was with Sam Tordoff best of British GT3’s Pro contingent in eighth ahead of Joe Osborne and Jon Barnes. 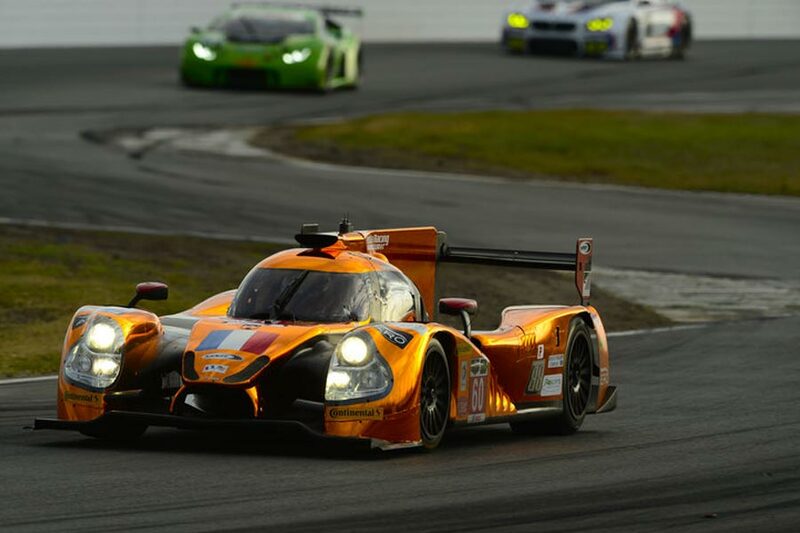 This year’s Sunoco Whelen Challenge therefore boils down to six drivers fighting for one fully-funded Cadillac DPi seat in January’s Rolex 24 At Daytona. Noble Jnr will be first to set a benchmark score, which – with more entries expected at LMP3 Cup’s Donington finale on September 15-17 – could well be a very competitive one. Middleton, Tregurtha, Reed and Pittard all then gather at the same venue one week later for their British GT4 decider knowing exactly what they’ll need to claim both the title and provisional Whelen lead. However, any of those five drivers might be left waiting until October 29 and Radical SR3 Euro Masters’ final outing before discovering whether Moseley has done enough to steal the prize drive. While the top-five positions remained unchanged, Jacopo Sebastiani’s fantastic performance at Snetterton helped the F3 Cup championship leader also announce himself as a serious Sunoco 240 Challenge contender. A clean sweep of three victories and fastest laps, as well as a pole position, helped increase his season’s average score by 9.71. That might have only resulted in two places gained, but – at this stage of the year – it represented a significant step that helped move the Italian to within 7.93 points of Rick Parfitt Jnr whose 99-point average remains the score to beat for now. It’s still a sizeable deficit but, with F3 Cup’s six races spread across two weekends to come versus British GT’s single round, Sebastiani will have ample time to overturn Parfitt Jnr and the rest of the top-five’s advantage. Sebastiani’s gain came at the expense of F3 Cup title rival Shane Kelly who slipped to seventh overall and 16.5 points shy of the 240 lead. He now requires two near-perfect weekends at Brands Hatch and Oulton Park to have any chance of catching Parfitt Jnr, Sebastiani and the rest. Meanwhile, Alasdair McCaig will be the first of this year’s 240 protagonists to register a final score when his LMP3 Cup campaign concludes at Donington. Like Ecurie Ecosse co-driver Noble Jnr, the Scot’s chances were compromised by a lack of entries at Snetterton last weekend, which resulted in his average dropping to 82.25. Elsewhere, Dominic Paul’s late-season charge continued despite only scoring 90% of the total points usually available due to GT Cup’s nine-car GTA class. The Spy Motorsport driver is now ninth after increasing his 2017 average by more than three points to 78.33 following victory and pole position at Snetterton. That’s one place and 2.22 points clear of Radical Challenge driver Bradley Smith, who completes the 240’s top-10. The 240 Challenge continues this weekend when three of the top-five go head-to-head at Oulton Park’s Mini Festival. Mini Challenge Cooper championship rivals Jessica Hawkins and Matt Hammond are just 3.55 and 6.27 points behind Parfitt Jnr, while JCW title hopeful Brett Smith is another 1.3 further back.